NEW YORK—What's left to do once you have conquered the internet in Turkey? How about starting an art gallery in New York? 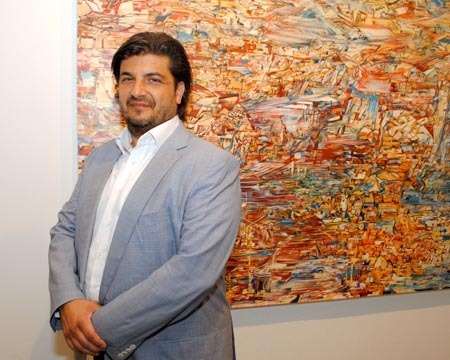 That's exactly what Emre Kurteppeli, the art collector and founder of Turkish internet hub Mynet, did after finding two partners — New York lawyer Mel Dogan and Turkish businessman Erkut Soyak — who were equally interested in supporting artists from emerging markets. They found a 9,000-square-foot piece of real estate on fashionable 24th Street in Chelsea, hired some big names in the industry, courted a splashy guest curator, and threw one of the most crowded art openings of the month at their new space, C24.